Are you the owner of one of these bottles?? 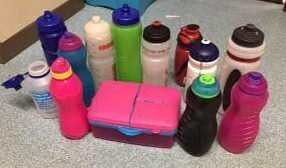 Please collect from the help desk on our training night at Littlehampton Pool by 8.30pm on Friday or they will be thrown away! !